It&apos;s that time of year again. We&apos;re getting our costumes together for trick-or-treating or costume parties, gearing up to take a trip to our favorite haunted houses and hayrides, and searching for things to do that will send shivers down our spines or make our kids laugh with a little bit of fear and a whole lot of excitement. As you can probably imagine, the Capitol Building is full of history and a few ghosts as well! Join the expert Capitol Tour Guides for a journey through the 136 year old building complete with stories of bumps in the night, the secret demon, and the Assembly Chamber&apos;s secret! 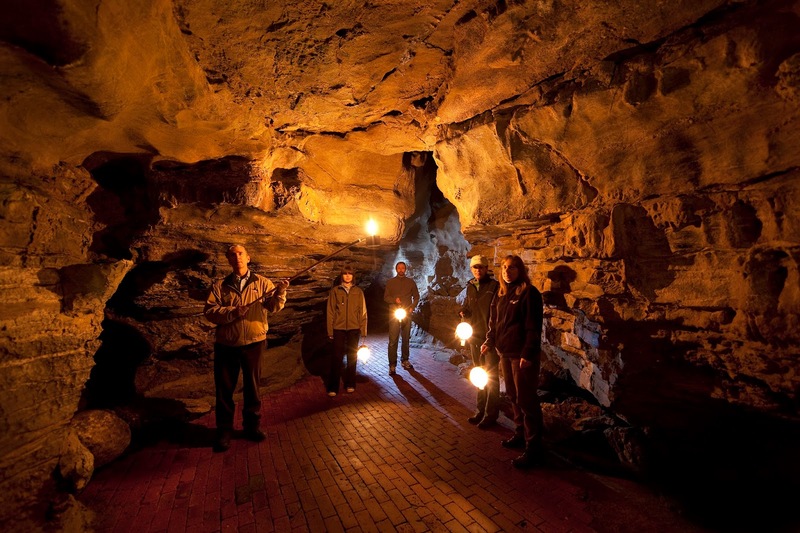 Go back in time to 1842 and navigate the caves as Lester Howe did-in the dark! Let your guide and the candlelight from your lantern guide you as you explore the caves and their secrets, legends, and haunting mysteries. My tip: Dress warm-including warm socks! The caves are a constant 52 degree Fahrenheit, but they are camp and you&apos;ll get chilly without a good layer or two. Huddle under the twinkling lights of the Henry Hudson Planetarium while your storyteller weaves tales of the strange and supernatural. With over 400 years of wicked history to cover, the spooks and haunts of Albany&apos;s past are extensive! My Tip: Get to the Albany Visitors Center a little early so you can browse the exhibits and the gift shop. And if you&apos;re using a GPS to locate the Visitors Center, plug in 19 Quackenbush Sq-it will direct you right to our parking lot. 21+ please! There are be drink specials offered at each of the stops downtown. Begin your ghost hunt with a tour of Ten Broeck Mansion, one of the most haunted public sites in Albany. If you survive the Mansion, your tour guide will lead you to McGeary&apos;s and The Hollow Bar. 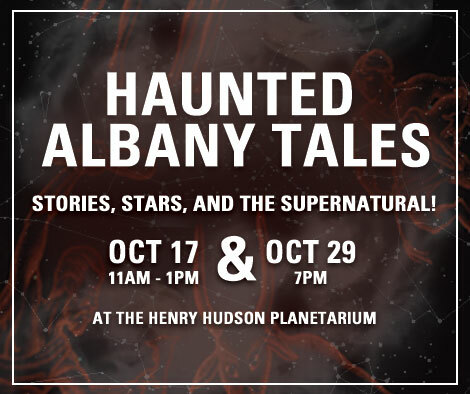 Along the way, you can look forward to supernatural tales regarding Albany&apos;s history and our rich folklore. My tip: Book your tickets now! These tours fill up quickly, and with only 3 tours offered this year, just trust me and reserve your spot. Flashback to a May day in 1827. 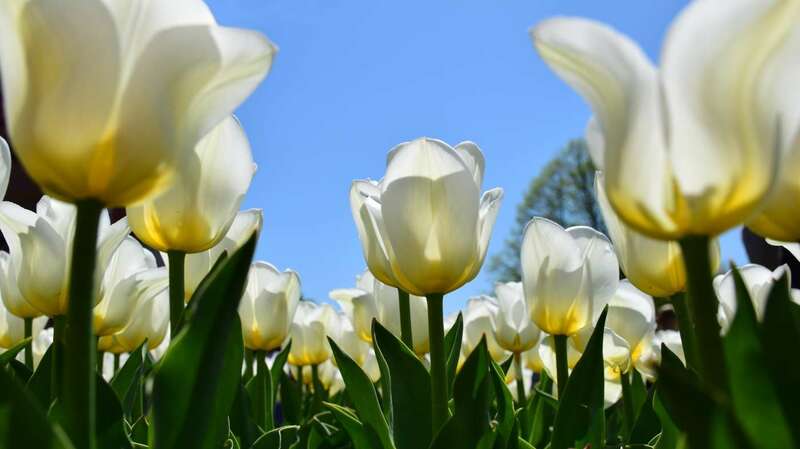 This tour will take your through the events that occurred at the mansion that resulted in Albany&apos;s last public hanging and an inhabitant&apos;s eternal stay in the house. Investigate the scene of the crime and the differing perspectives of those who were there on that fateful evening! My tip: Get to the mansion a bit ahead of time as parking can be tricky. Home of the Knickerbocker family for over 250 years, the Knickerbocker Mansion is said to be visited by various family members of friends in the evening hours. You may know the name from a pseudonym of Washington Irving, who is best known for writing "The Legend of Sleepy Hollow." Take a tour of the house and grounds on these two evenings and explore the history and haunts. My tip: Read Irving&apos;s short story before attending to get you in the mindset and see if you can make any connections between his setting and that of the mansion. Celebrate Halloween a week early at the New York State Museum&apos;s 4thFloor terrace! Wear your costume and gear up for the week to come with fun games, dancing, and hands on activities. Perhaps even participate in the costume parade each day. My tip: Spend some time wandering through the Museum before or after you attend the bash-it&apos;s free of charge and has some incredible exhibits for parents and kiddos too! Celebrate the season with a special sleepover at miSci! Enjoy a planetarium show, dinner, a costume parade, creepy activities, spooky experiments, breakfast & more. There is also the option to come for the festivities and leave to sleep at home or a home away from home (click herefor details). My tip: Take your little one to the museum first before you sign up to sleep over and see how they feel about spending the night. If they don&apos;t feel comfortable, then just sign up for the activities. To stay up to date on haunted events and Halloween festivities, check our Halloween page or browse our events calendar!